US Swim School Association advises parents to begin water safety with kids at 6 months. Drowning is one of the leading causes of death in the United States. On average, 3,533 people die as a result of drowning each year, and most of those deaths are children under the age of four who drown in backyard swimming pools. The tragedy of these statistics is nearly all drowning deaths are preventable. To help educate children, parents, families and swim instructors on preventive measures to avoid a drowning incident, US Swim School Association (USSSA), the preeminent swim school organization in the country, has compiled the latest life-saving water safety and swim instruction tips. In addition to these vital steps, USSSA has created a list of tips parents can use to build extra layers of protection for their children around water. Create a verbal cue for your toddler or child that must be given by you before he or she can enter the pool. Never allow your baby/toddler in the pool without a swim diaper. Create a process the child must go through before entering a pool such as putting on a swim diaper, a swimsuit and applying sunscreen. 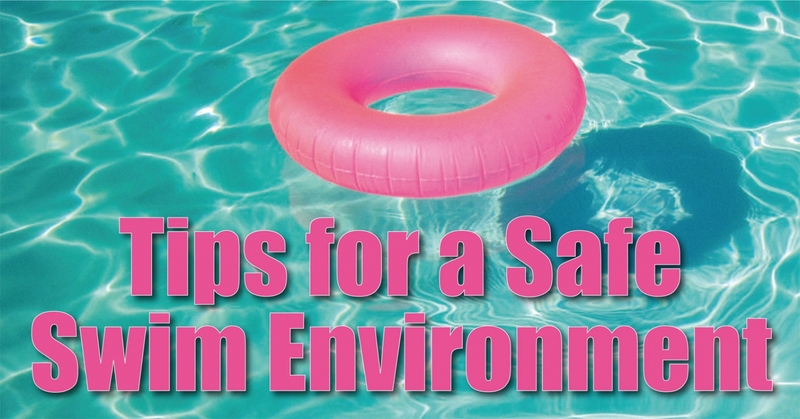 Never use floatation devices or water wings when swimming or when teaching kids to swim. For very young children practice having them put their entire face under water in the bathtub and blow bubbles to build their comfort with water. Make sure your guests and kids friends know your pool rules before they go outside and get in the pool. Start swim lessons at 6 months of age and continue them year-round at a US Swim School member location. Always make sure your children wear life jackets on boats, personal watercraft and in open bodies of water. US Swim School Association (USSSA) began in 1988 to fill a gap in the swim school industry. USSSA has become the largest and preeminent swim school association in the country with more than 400 members providing swim and water safety instruction to more than 500,000 students each year. Swim schools receive invaluable benefits as USSSA members, receiving the latest training in water safety, swim instruction methods and tools, invitations to annual conferences, and many other benefits that help establish and build each individual business. USSSA has partnered with Safer 3 Water Safety Foundation for its official water safety program. Through USSSA, parents and students are provided with a reliable and trustworthy resource when searching for a swim school and can rest assured they have chosen a top school when they choose a USSSA affiliated location. For more information, visit www.usswimschools.org.